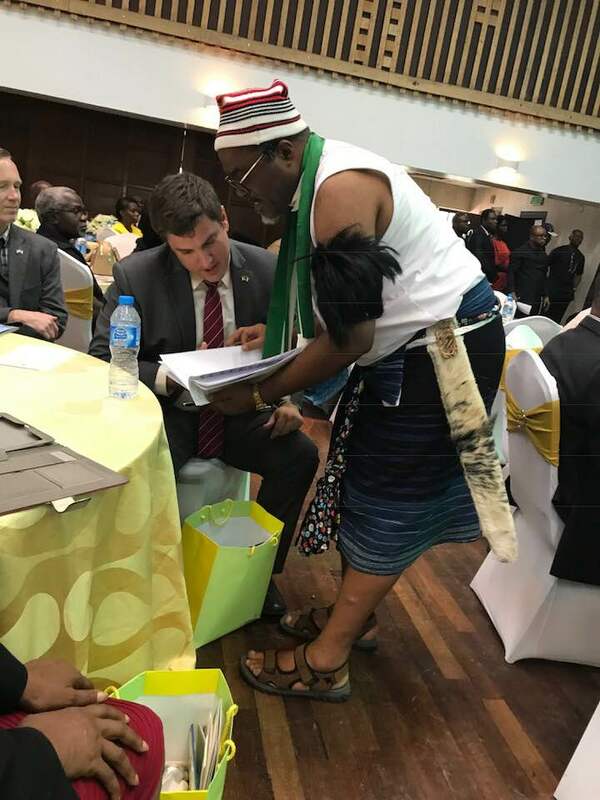 I know most of the time when one read too much, they almost always behave abnormal but it will all seem normal to them. 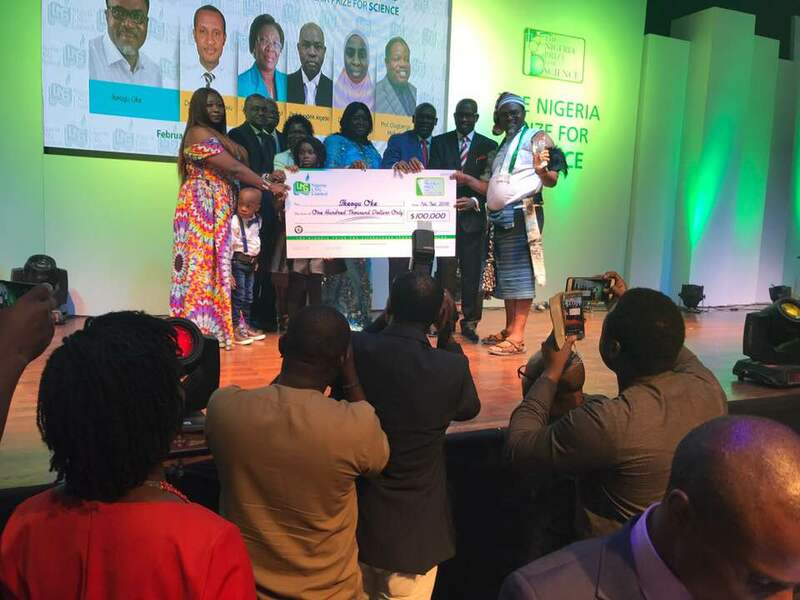 These are photos from the formal presentation of the $100,000 (over N36million) NLNG prize for Literature to the erudite poet, Ikeogu Oke at Muson Centre, Lagos on Wednesday. 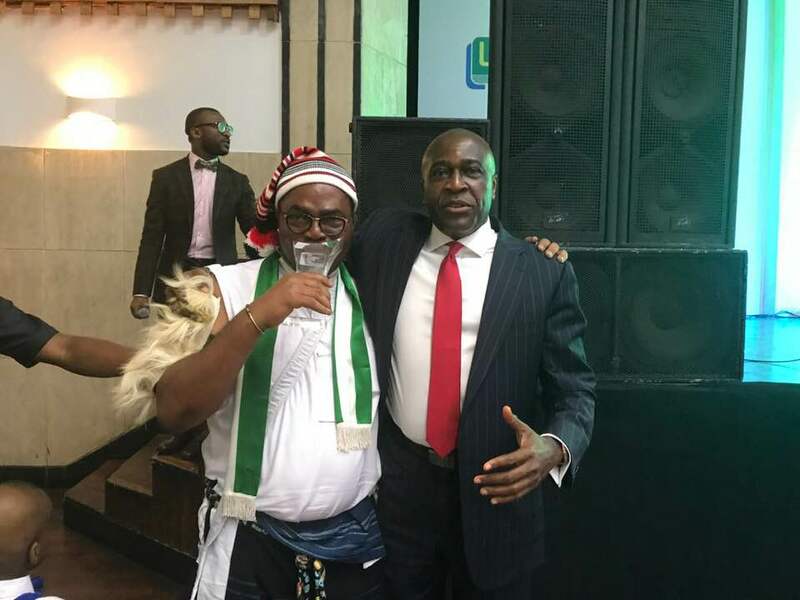 Prolific writer, poet and journalist, Ikeogu Oke, rocked an unusual attire as he was awarded for winning the 2017 edition of the Nigerian Prize for Literature, with his “The Heresiad’’, after an intensive process of adjudication. 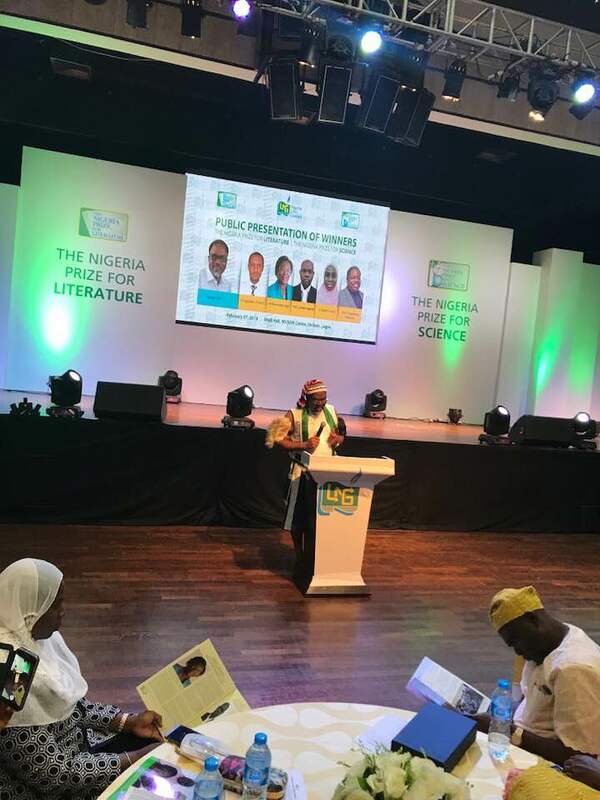 President Buhari commended Oke’s passion and commitment to lifting the genre of poetry in the country; an art that many shy away from due to the required discipline and focus, reflective thinking and unique style of writing.